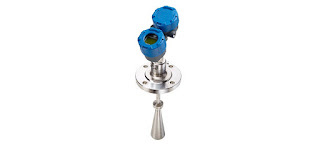 Level measurement is a part of countless industrial processes and installations. Accurate measurement of contained solids or liquid enhances safety and operational efficiency, both of which contribute to the bottom line. Magnetrol, globally recognized innovator in flow and level measurement, recently released its latest version of non-contact radar level measuring instruments. The Pulsar R86 transmitter operates in the 26GHz range, delivering a smaller wavelength with improved resolution, smaller antenna, and a narrower beam. Other unique innovations have been incorporated into the instrument to simplify installation and application. The R86 is suitable for a broad range of applications across almost every industry. On board diagnostics are incrementally advanced to provide best performance and deliver the information needed to maintain proper operation. The latest information on the Pulsar R86 is included below. Reach out to process measurement specialists and share your measurement challenges and requirements. Combining your own process knowledge and experience with their product application expertise will result in an effective solution.